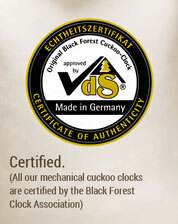 Beautifully crafted Black Forest chalet by Hekas. 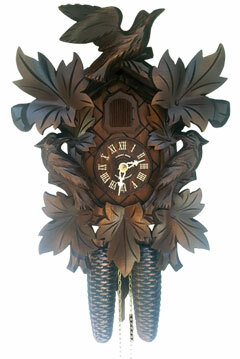 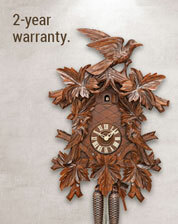 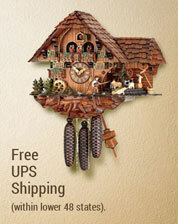 This all wooden clock features handpainted flowers and nicely crafted windows with wooden shutters. 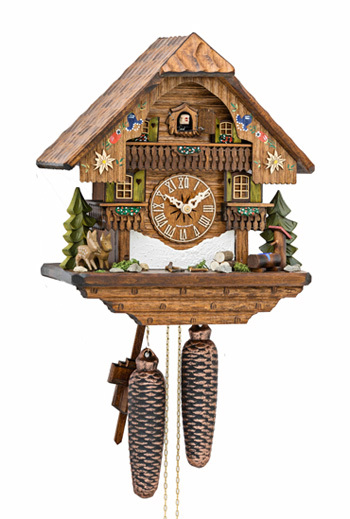 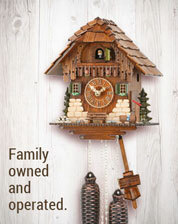 This 8 day chalet is equipped with a german brass rackstrike movement (Regula).Clock also features wooden dial and wooden cuckoo bird.